In the Mediterranean countries, the heat wave is between July 24 and September 2. That is, we have very little to enter it. And, when this happens, it is best to have the sea nearby, preferably just in front, so that a dip will prevent us from melting like butter. In order to enjoy this luxury, next we will discover some Mediterranean hotels whose value for money we found particularly attractive. In Rincon de la Victoria, Malaga, Hotel Elimar is located on the beachfront, on the Costa del Sol. The hotel has double rooms; rooms with jacuzzi and rooms with sea views. The hotel also has a cafe located on the seafront. The facilities are completed with a gym, free WiFi and reception open 24 hours. Surrounded by nature, the Mas Salvi, located in Pals, has thirty rooms that are the epitome of the haven of peace. There are rooms with private terraces and access to the garden. This hotel, opened in a 17th century building, also allows the possibility of activities such as golf or SPA. Located in Lloret de Mar, the Hotel Delamar is designed for adults looking for a relaxed atmosphere by day and lively at night, in the style of the Costa Brava. In addition, it is a hybrid of Mediterranean and Cuban influences. The Blandret is located on Malvarrosa beach, in Valencia. Decorated by the interior designer Carlos Serra, it boasts an avant-garde design with rustic Valencian touches. The accommodation has 20 double rooms. And everything is children friendly, that is, it is a family hotel that offers a playground, rental cars for rent, portable baths for children, children’s hangers, wedges and extra beds. Located in Begur, north of the Catalan coast, the Hotel Restaurant Galena Mas Comangau is a peaceful Masia from the end of the 18th century, fully restored and overlooking the Gavarres mountain range, 400 meters from the town’s commercial center, and very close to the unique and unbeatable beaches and coves of the Costa Brava. 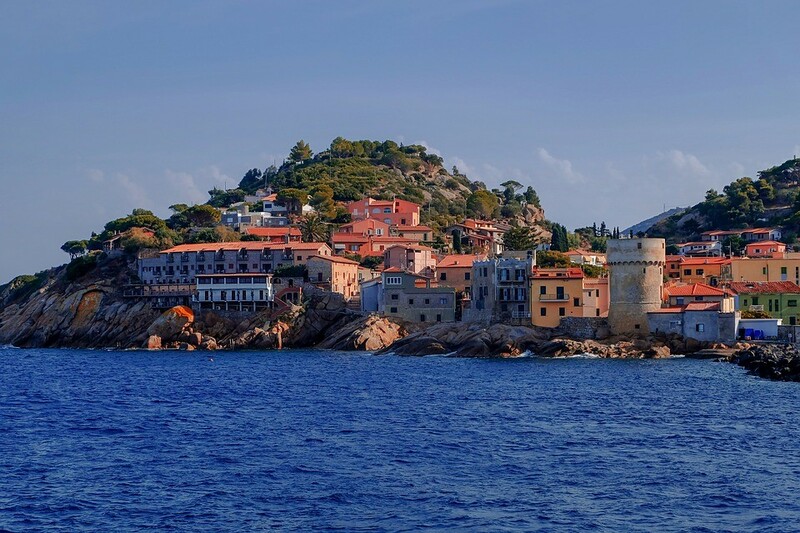 It is the ideal starting point for excursions, which will take you to places so close and, at the same time, so different and special, as the medieval towns of Pals and Peratallada, the Dalí Museum of Figueres, the ruins of Empúries or the neighborhood Jew of Girona. Located in the La Manga Club complex, located on the Costa Cálida, in Murcia, we find this 5-star resort between the warm waters of the Mar Menor and the extensive beaches of the Mar Menor. In addition, this hotel complex on the beach has a large outdoor pool. To make matters worse, the Manga Club Hotel Prince Felipe has 28 tennis courts, 3 golf courses, spa and several restaurants that make various types of cuisine. In Sant Antoni de Portmany, Baleares, we have Marina Playa Hotel & Apartments, an adult-only that offers a good accommodation in Bahía de San Antonio. The center of the city is 2 km from the property. It has 60 rooms with satellite television, air conditioning, a private safe, a private balcony and a closet. Some rooms have sea views. The bathrooms are equipped with a shower, a hair dryer and free toiletries. The Hotel Blanca Brisa is a two-star accommodation located in the Natural Park of Cabo de Gata, Biosphere Reserve, offers the visitor pure nature. Located just 400 meters from the beach of Cabo de Gata and 100 from the Salinas, the place is home to many exotic birds. The hotel offers air-conditioned rooms, free Wi-Fi, flat-screen TV and private bathroom with hairdryer, bathtub and shower. There is also a bar and a restaurant that serves Mediterranean cuisine, such as paella and fresh seafood. The Cluc Hotel is an accommodation that seeks relaxation and closeness to the client. For this, it offers rooms with a Mediterranean aspect. The breakfasts are made with ecological products of the earth. The hotel is also full of details and quality services in an environment such as Begur, an old fishing village with cobblestone streets in a romantic style. In Santa Eulalia del Río, Baleares, we find the Catalonia Ses Estaques, on the seafront and very close to the Port of Santa Eulària des Riu, an exclusive hotel for adults designed to disconnect and enjoy the beaches of Ibiza. The double rooms are fully equipped and with a very cozy decoration. Located on the shore of Canyamel beach, in the northeast of the island of Mallorca, the Hotel Melbeach is elegant and modern with spa and wellness center. Ideal for a couple holidays. Its 32 rooms have a minibar, a flat-screen TV and a private bathroom with a hairdryer and free toiletries. In addition, the beach in front of which the hotel is located has been awarded the Blue Flag due to the purity of its waters. El Far Hotel, in Llafranc, is located on an elevated promontory that provides spectacular views of the sea and the beaches of the area. The building is an old inn of the XVIII century next to a chapel and a guard tower. Located in Cambrils, in the province of Tarragona, the Hotel César Augustus is one of the most valued hotels in the area, due to its location and value for money. It offers rooms on 4 floors, all exterior, to enjoy the summer atmosphere. Its facilities are ideal for families, since they have activities for even the smallest.